Looking to make your home just a little smarter? While still in its infancy, the number of smart home products—devices that let you control your lighting, thermostat, or even your crock pot from your smartphone—is rapidly growing. From GE to Belkin to Home Depot, tons of products and whole ecosystems want to help you control your home via a single iOS or Android app. 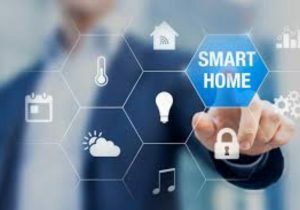 You can pick and choose your favorite gadgets to assemble an affordable intelligent abode on your own terms, or opt for an entire smart home system that does all the work for you. We’ve tested dozens of smart home devices, from cameras to lightbulbs—even robot vacuums —to find the best of each for your new smart home.